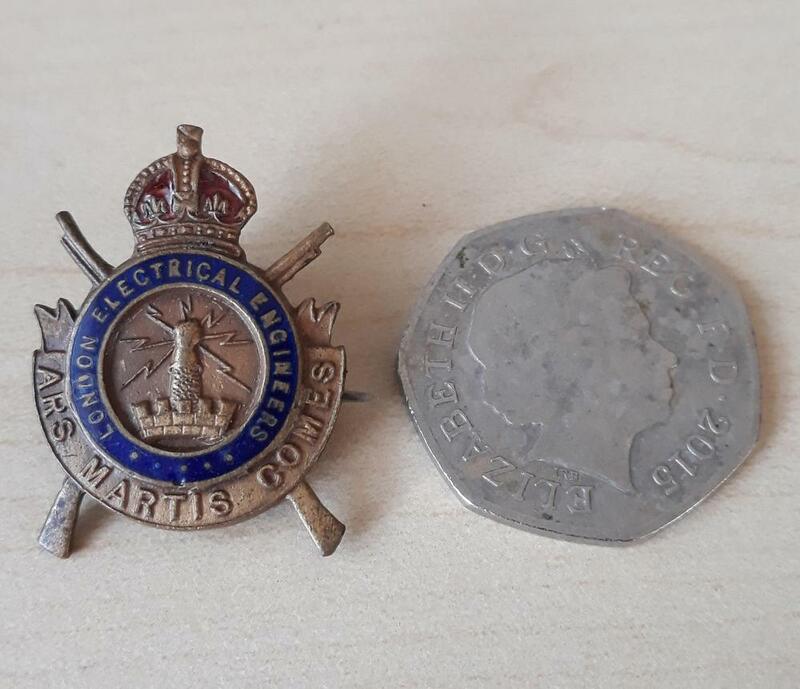 Delving through my box`s of badges I came across what I thought was a association lapel badge but it has a pin back and it appears it may be a hat badge , I saw a picture of one but was silver and enamel unlike mine appears to be brass and enamel, and they said it was scarce, could this be so? It is marked Denton and Down. Can anyone throw any light on this please? Can you show the reverse please. 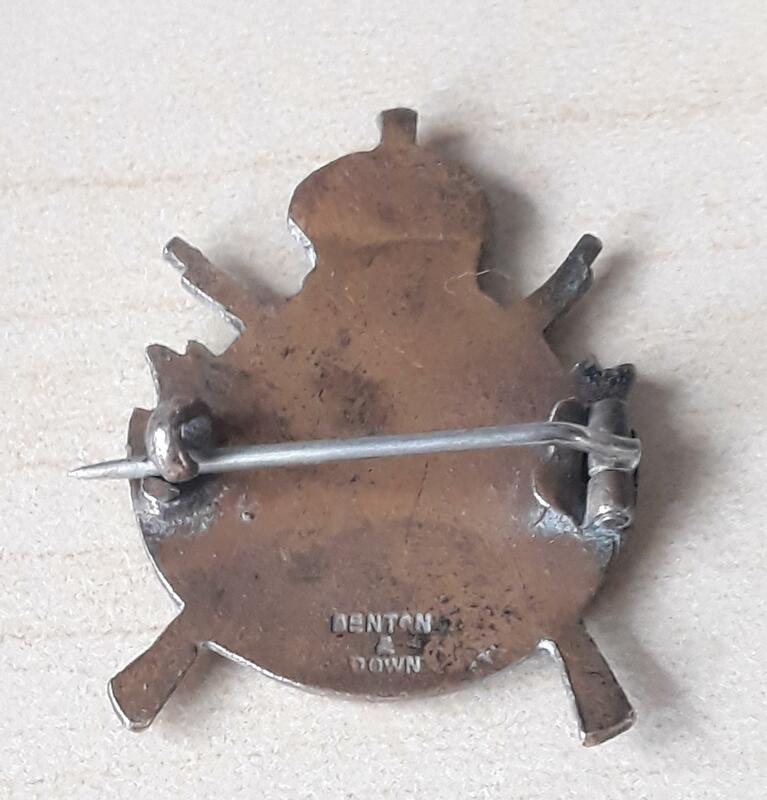 Thanks for the image, pretty sure this is not a Cap Badge but would more likely be a Sweetheart Brooch or as you say, an Association Badge. Rare too as this was a relatively small Unit.